If your business website needs a redesign, or you’re looking for a company to do a new website from scratch, you’ll inevitably need to find the best web design company for the job. 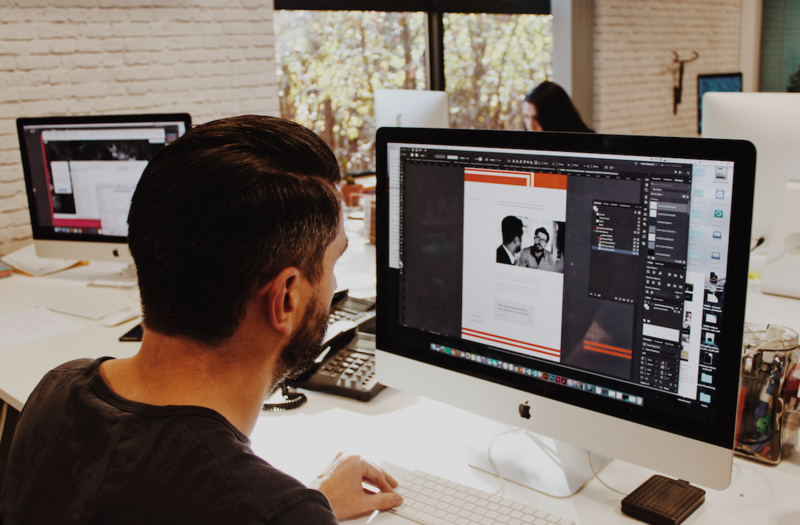 There are many factors to consider when hiring a web designer, and the success of the project will partially depend on how well you gel with them. Before you go off on a random Google search, read through this guide to understand what to look for. Most web designers have online portfolios to showcase their work and experience. It’s important to actually visit the sites in the portfolio and give them a test drive. Sometimes, a site that looks great in static images can be difficult to use. And if a web designer’s neglected their own website, you might find that some of their projects are long since offline. A solo freelance web designer will have a different approach to a web design agency. Often, agencies can bring other skills into the mix. For example, they should be able to tackle the design and website's development and the content in-house, which brings lots of benefits: faster production, a more coordinated strategy, and a more blended end result. Freelance web designers are also likely to be working with a few clients in quick succession, while a web design agency will have multiple staff to look after you. This is partly down to personal preference as to the best way of working for you. Web design agencies often have other strings to their bow. For example, you could combine your web design project with some fresh marketing copy, a new logo, or a full rebrand. Even if you don’t need these things now, having a one stop shop for all of your design and marketing needs can streamline things later. There’s only one person to speak to when you want to advance to the next stage of the project, and you won’t need to waste time searching for a new company to pick up the reins. Don’t go with the first web designer on your wishlist. Take time to gather recommendations, speak to the companies, and get a feel for how each company works. You can tell a lot from the questions you’re asked at this early stage, and that may guide you as to how efficient the company is and how keen they are to design your website. You might also want to ask for referees so that you can chat with an impartial customer and find out if your first impressions are accurate. If you're unsure on whether it's time to think about a new website, why not check out our blog on how to know if it's time for a new website here.